Okay, so if you haven't already realized the odds of this actually happening are very slim, I guess I can explain a little more, but it only gets weirder. 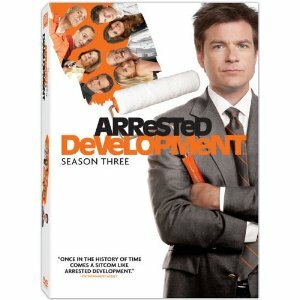 So, somehow we missed the boat on Arrested Development and are now catching up on all 53 episodes on Netflix. We usually watch about 5 episodes each night since they are so short and we have a limited amount of time in the evenings. As usual, we sat down after dinner last night to watch a few episodes before bed and then I had crazy dreams! Bear with me as I explain because my dreams are very vivid, but sometimes when I try to explain them they turn into run-on sentences. So, I was still living at my parents' old house, the one I grew up in, and I knew that someone was stalking me because they would call and text me with pictures of things I was doing at that very moment. Jason Bateman, I think was the guy I hired to help me find out who it was that was stalking me. At some point there grew a romantic connection and then because of a phone call or picture I recieved I pieced together that it was him who was recording and stalking me. I didn't really know how to feel about this, since obviously I was interested in him in the dream, but I was highly disturbed by it and even moreso when I realized there were cameras placed all over my house and car. I would find them and unplug their power source and turn the camera around so it was facing the wall, but they had a backup source of power and were being operated by remote controls and I couldn't get them to shut off or anything and I was so creeped out. Moral of the story is, no more Arrested Development before bed. Happy Monday! That is so funny! Happy Monday. That's awesome! 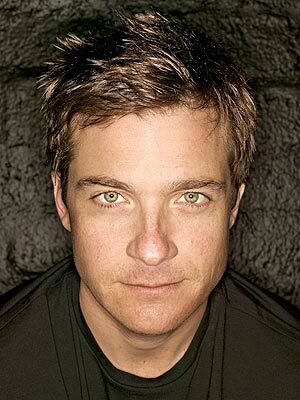 I wouldn't mind a dream of Jason Bateman. Hi!!! Nice forum. This my first post. I'm SO glad that you have discovered Arrested Development! It's so hilarious.